FanDuel scoring layout is drastically different than DraftKings so make sure you check the rules before playing in any paid for contest. Fanduel pricing algorithm is also quite different than DraftKings so the sites have quite a few price discrepancies worth taking advantage of. Your FanDuel lineup is made up of 6 golfers you choose within a $60,000 salary cap. Quick tip: you can create an edge by simply not using all $60,000 of your salary cap. Justin Rose ($12,100) OGWR 1st– When we think about consistency we don’t think about the sport of golf. Golf is the most volatile sport known to man. When we think of Justin Rose we think of consistency. This is rare, it’s like finding your golf ball after you just put it in the middle of the water hazard off the tee. Point being- play Justin Rose in Cash and don’t overthink it. Jon Rahm ($11,900) OGWR 7th– Jon Rahm is deserving of the highest price tag on DK this week. He is an exceptional scorer, with very little weakness in his game he could be one of the few who repeat this season. Not to mention he is top 5 in three of the five stat categories I have listed above. If he gets going early and often, he will be at the top of the leaderboards once again come Sunday. Patrick Cantlay ($11,300) OGWR 19th– A pretty steep price to pay for a golfer who hasn’t played competitively since November. Don’t let this price scare you away. There are very few golfers who can adapt to any course and its conditions. This young stud has proven he can compete with best on any given weekend. He has no course history which will scare some away but where others hesitate, we take advantage. Be a wolf, not a sheep. Play Cantlay with confidence. Adam Hadwin ($10,700) OGWR 70th– He will be heavily touted this week, as he should be. If any golfers deserve the title Course Horse for this tournament it is undoubtedly Adam Hadwin. 2018-tied for 3rd, 2017- solo 2nd, 2016- tied for 6th, 2015- tied for 48th. These are pretty astounding numbers year over year. I do want to mention, I will have less ownership on Hadwin compared to the top 3 listed above. Chez Reavie ($9,800) OGWR 54th– Chez is the player that your ride when he is hot. Last year I vividly remember him going for back to back 2nd place finishes. He is no slouch when it comes to this track either, having gained over 17 strokes total on the field in this event. I want to hop on Chez before he becomes too chalky. This price might scare some folks away so getting him at a lower ownership is always a bonus! Salary Savers– My value plays, rankings in order of pricing. Bronson Burgoon ($8,900) OGWR 104th– This play is purely driven by course history and course fit. Since we have three rounds of guaranteed golf it makes it easier to take golfers that you would normally cringe when placing in your lineups. Bronson is excellent at approach and if he decides to putt well just 2 of the 4 days he will reach value with upside. Kevin Streelman ($8,500) OGWR 194th– If you read my Statistical Breakdown you would have seen his name in every single category except SG: ARG. He fits very well in my model and at his price I believe he is a steal this week. I truly think he finishes top 20 this week even though his current form would tell you otherwise. Mark my words if he plays even remotely well here you will see his name once again in next week’s article. Sungjae Im ($8,800) OGWR 92nd– This kid is crazy good Tee to Green, one tournament he will put it all together and I don’t want to be kicking myself for not pulling the trigger. I will be heavily invested this week. Fire the young gun up! His value is even more noticeable on FanDuel, that is why he falls into Salary Saver category in this article. Hudson Swafford ($8,200) OGWR 214th– Great price, great form, great course fit. He makes sense this week. I like him more on FanDuel than I do on DraftKings. Harris English ($7,500) OGWR 308th– The price is great on Harris this week and he made 3 eagles and 14 birdies last week, so he is not afraid to score. If he can avoid the big numbers, he will be an excellent value this week on FanDuel. Options that will go overlooked but are worth a shot in a GPP. Richy Werenski ($9,600) OGWR 164th– this is where pricing helps us from site to site. Ownership will be half on FanDuel compared to DraftKings because his price is almost 2k more on FanDuel. This is a good tactic to help you create an edge in GPP’s. 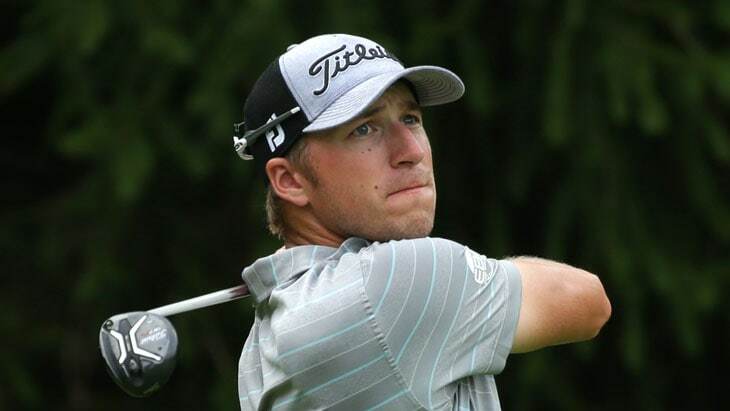 Richy Werenski is a really good young golfer who has hit value in his last 4/5 tournaments, making the cut in all 5. Si Woo Kim ($9,200) OGWR 64th– Don’t ever sleep on Si Woo. He can get going on any given track, in any given tournament. However, Si Woo is backed by decent course history (tied for 9th in 2016) and a good price count me in! He is popping on multiple stat categories as well. He is truly a treasure this week. Beau Hossler ($10,500) OGWR 91st– He can pop any given week. He doesn’t pop on my stat model and he even putts much better on Bent grass so proceed with caution, but I will use him in a few GPP lineups this week. When you have a feeling sometimes you have to ride that wave! A golfer that is higher owned and doesn’t deserve a spot on our rosters. Scott Piercy ($9,500) OWGR 133rd– I will never pay $9,100 for Scott Piercy. This guy is my kryptonite every time I buy in, he disappoints. He can strike the ball with the best of them but for him to pay off his price he has to putt very well. I will not bank on that happening this week. He has decent course history, but I advise going elsewhere at this price tag.